I first entered Yosemite in 1960 with the Boy Scouts while at an outing at Camp Dimond-O just outside the park. Dimond-O is no longer a Boy Scout Camp, but it is still there. Though I visited the park a couple since then, it wasn’t until 2000 when the bug hit me. My wife and I were just passing by when we saw sign for Yosemite and decided to stop in. 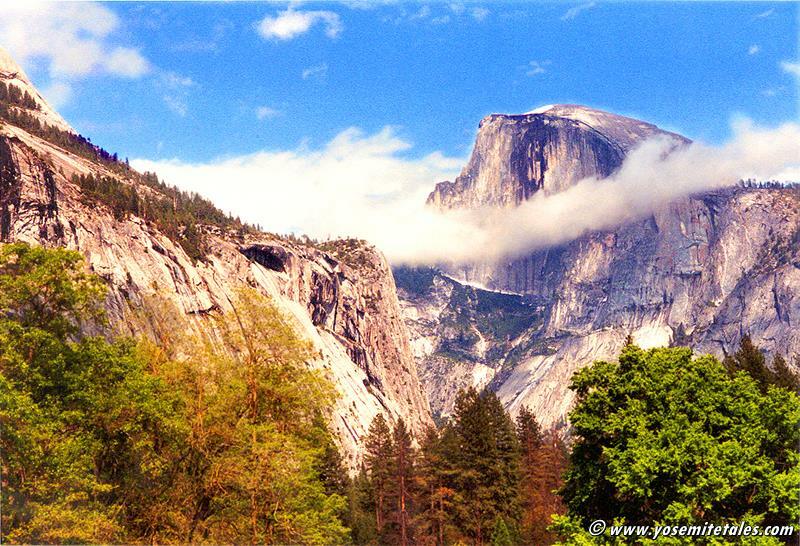 When we got into the park we were greeted with a spectacular view of Half Dome. I have visited it frequently ever since, often multiple times a year. I couldn’t be there as much as I wanted so I spent a lot of my I-wish-I-were-there time researching various aspects of the park and planning the next venture. My interest in photography began as a senior in high school and for a while I planned to work in the field, but life intruded and it was the late nineties before I spent any real time with a camera again. Though my camera lens finds itself in any of many different directions, I feel at the most ease when Yosemite is in the view finder. I am no longer encumbered by a day job nor the 3 to 4 hour per day commute that accompanied it. I now have more time to visit my favorite park. But alas, neither am I encumbered with the riches that just such a job provided. So, again, the frequency at which I can visit the park is still less than optimal. Nevertheless, with these pages, I hope to share the times I did spend, the anticipation of new events I want to do, some stories behind park figures and tales of those pioneers of days gone by.